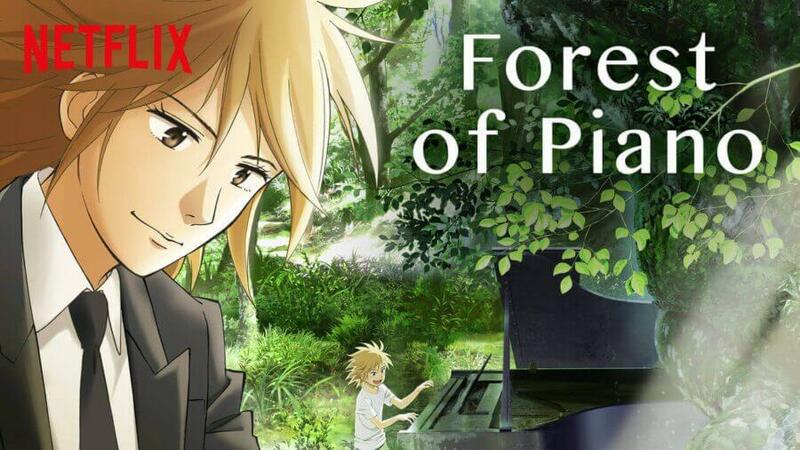 Forest of Piano is now available on Netflix worldwide but is it the next big anime that everyone needs to be watching? Here is our review and thoughts on season 1 of Forest of Piano including its story, animation and the music itself. The phrases that best describe the show would be ‘sweet’ and ‘heartwarming’. While the main character Kai is a bit of a Gary Stu, but in the simplest of terms, the story is centred around a young boy whose musical prowess is nothing short of genius. As a result, you can’t expect him to constantly face adversity at every turn. It will be interesting to see what challenges season two will bring Kai. Throughout the story, you never felt like Kai would really fail and as a result, I found myself somewhat more invested in the struggle of his friend Shuhei Amamiya. Shuhei’s struggle comes from his friendship with Kai as a child. Since hearing Kai play the piano as children he developed an inferiority complex that plagues him throughout his entire childhood and early as he fails to create his own ‘sound’ while playing. As the story arc develops, it’s easy to see how the relationship will move forward with the end result being his friend developing his own sound. Overall, it’s a compelling story and leaves you looking forward to the release of season 2 next year. The actual animation of the show isn’t one that will sink into your memory like that of One Punch Man or Attack on Titan. However, the animation does do a fantastic job of keeping the look of the characters in line with how the manga was originally illustrated. The film of the same name came out all the way back in 2007 to which ironically was animated by the studio that developed the animation for One Punch Man and Death Note. For the anime series, Netflix opted to use Gaina, a relatively new company that has only been around since 2015. The only part of the animation we weren’t keen on was during the piano performances. During these performances, the characters were animated in CGI and while it did give a more fluid motion to how one may perform on the piano it did stick out like a sore thumb. If the pianists used for the music were in MOCAP then I would be more inclined to forgive them for this but as I cannot find any evidence of this I for one wish the CGI would stop as it looks ugly and the sudden shift of animation takes you out of the story. The music is the highlight of the series in our eyes. Those who enjoy classical music will feel right at home with this series. With that said, we’re not going to suddenly real off why Chopin is a better pianist than say, Beethoven. Enjoyment for classical music is definitely an appreciation to the complexity and beauty such music holds. In my opinion, I was more invested in the music than the actual story of the series and as the playing of the piano is rather prominent in this series, to say the least, it was very enjoyable. As someone like myself that genuinely enjoys classical music. It’s great to see a piece of literature that takes such inspiration from classical pieces of music. One of the best aspects of this show while doing further research into its creation is that each character while performing is portrayed by their own Pianist which I think is incredible. While to the untrained ear probably wouldn’t be able to tell the difference I still think to go that length to put in a unique sound for each character is amazing. If you’ve enjoyed previous anime music hits like ‘Your Lie in April’ this will be up your alley. The series is fast-paced meaning that you won’t be bored without the lack of action sequences you’d normally expect from anime series. Did you like Season 1 of Forest of Piano? Let us know in the comments below! Next story When will Season 16 of NCIS be on Netflix? Previous story Will Operation Finale Come to Netflix in the US?